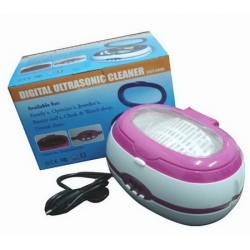 This brand Digital Ultrasonic Cleaner has powerful transducer and stainless tank for superior cleaning results, making it great for both professional cleaning and personal use. 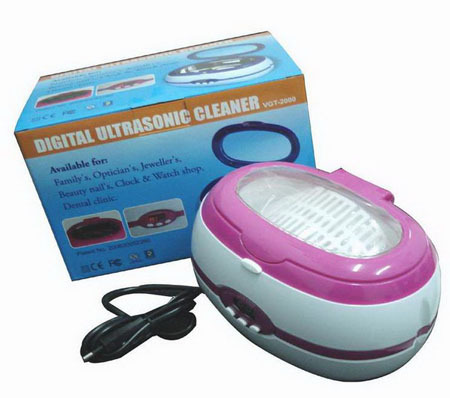 It is the first use of digital program in ultrasonic cleaner to control the unit to choose a working cycle, based on the quantity and condition of the items to be cleaned. It is more convenient and effective, and the result is more brilliant! Ideal for scientific labs, medical and dental clinics, tattoo shops, jewelers, opticians, watchmakers, antique dealers, and electronics workshops, golf club etc. Ideal for Jewelry, watches, rings, necklace, earrings, diamond, bracelets.Glasses, sunglasses, contact lens accessories, optical lenses.Dentures, combs, toothbrushes, electronic shaver head, razors, and dining appliance.Pen-heads, printer-heads, signature chops, watch parts, ancient coins, badges, valves, machine nozzles, small silverware.electronics components, mechanical parts, and firearms. Tattoo guns and tubes, and piercing. Anything you can image to clean -- it can even clean fruit like strawberry!!! • Power Supply: AC 100-120V 60 HZ.